The PhotoPlus International Conference + Expo is open for registration, and photographers who sign up by July 11 will receive early bird pricing. The conference runs October 25-28, 2017, at the Javits Convention Center in New York City. 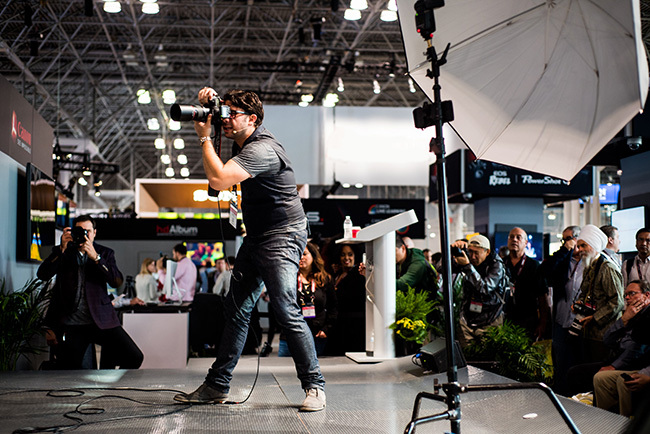 Whether you’re a working pro or an enthusiast photographer, there’s a wide breadth of seminars, classes and events to fine-tune your photography or expand your business. PhotoPlus also presents opportunities for attendees to explore new photography and video products from more than 200 international brands, as well as meet legendary photographers and experts from across the globe, this year including Lindsay Adler, Ilise Benun, Peter Coulson, Jerry Ghionis, Michael Grecco, Gregory Heisler, Shaniqwa Jarvis, Lou Jones, Andy Katz, Me Ra Koh, Julieanne Kost, Gerd Ludwig, Jay Maisel, Joe McNally, Bob Sacha, Douglas Spotted Eagle, Art Streiber, Kitfox Valentin, Roberto Valenzuela and others. Here’s a list of the year’s exhibitors, plus get conference details here. Get general information about PhotoPlus 2017 here, and register now.